Stuck on what to give your special gardener for Valentine’s Day? 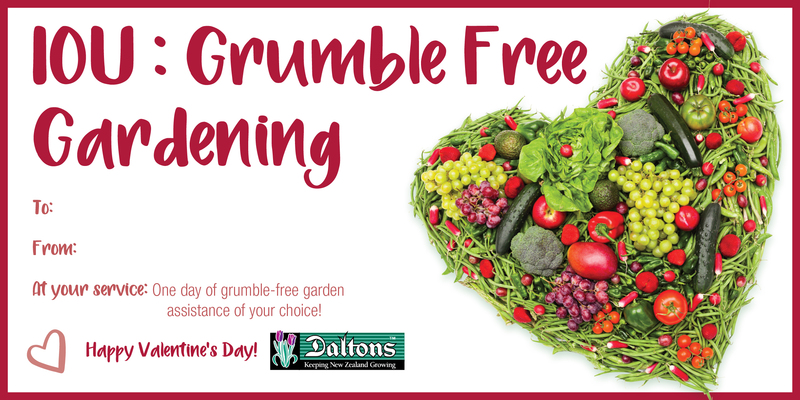 Fret no more, Daltons have the best gift for your garden-loving Valentine! 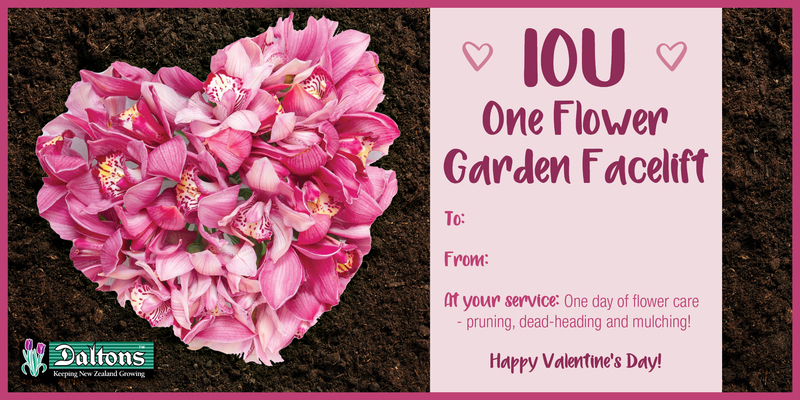 Give them what they really want by downloading and printing these sweet “IOU” vouchers for garden lovers. 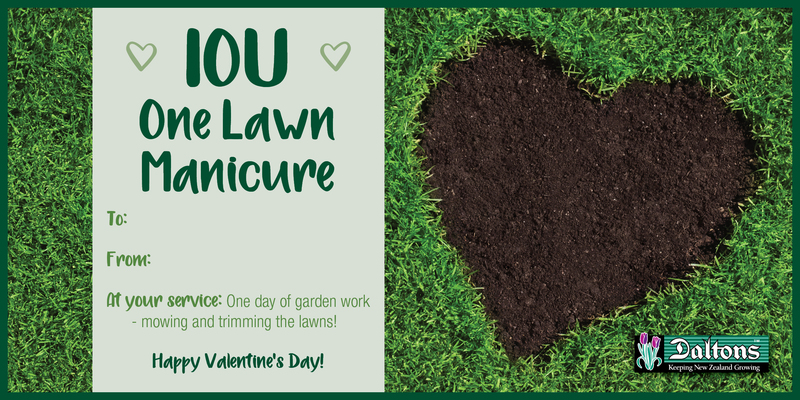 Give your Valentine A Week’s Watering Break, A Flower Garden Facelift, A Lawn Manicure, Grumble Free Gardening Help, or A Garden Pamper Day. 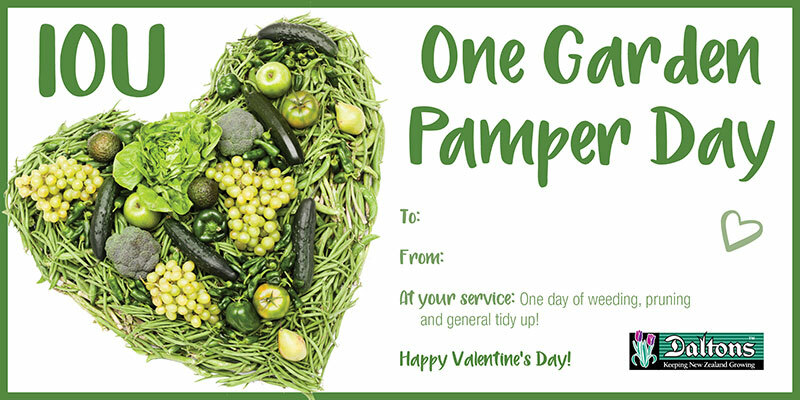 You’re guaranteed to get the green thumbs up from your Valentine, plus you’ll reap the rewards come harvest time. 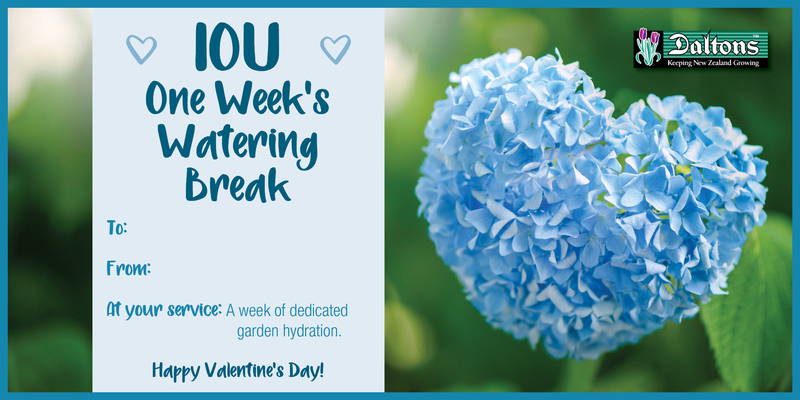 Simply choose, download and print one of these sweet IOU vouchers to give to your beloved. All it costs is a little hard work in the garden to make your Valentine smile!